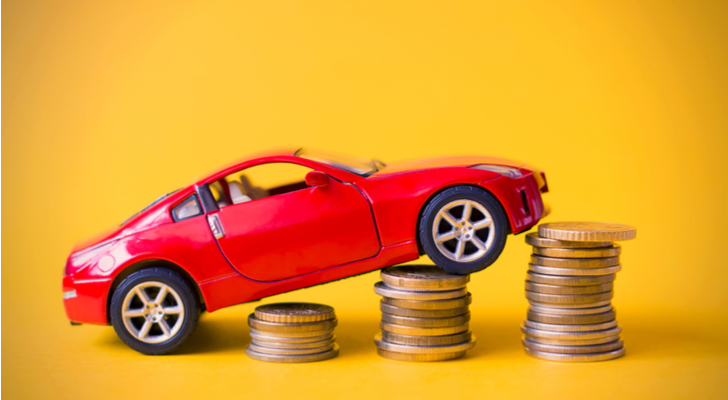 The auto industry has had its ups and downs lately, which has made it a bumpy run for car stocks so far in 2018. Emerging technologies like autonomous taxi services have made some names rally considering the large revenue potential. The negatives have usually centered around stagnant U.S. sales, as we continue to hover near the 17 million annual sales mark. More recently, tariff concerns on auto parts and vehicles have made life less enjoyable in the C-suites for many auto companies. Some automobile stocks will continue to be buys right now, while others are struggling but look like good long-term picks. What are they? Let’s have a look. General Motors (NYSE:GM) shares have been trading well lately — up 5% in the past month. Despite the cut to earnings earlier this year, analysts now expect GM to earn $6.26 per share in 2018, which still leaves shares trading at just 6.6 times earnings. That’s a screamingly low valuation, particularly when paired with GM’s 4% dividend yield. The company is expected to eke out slight growth in sales and earnings next year, but growth is really not the driver for GM. Instead, it’s the future of what it can do with Cruise, GM’s self-driving car unit. The goal for General Motors is to deploy an autonomous transportation service. 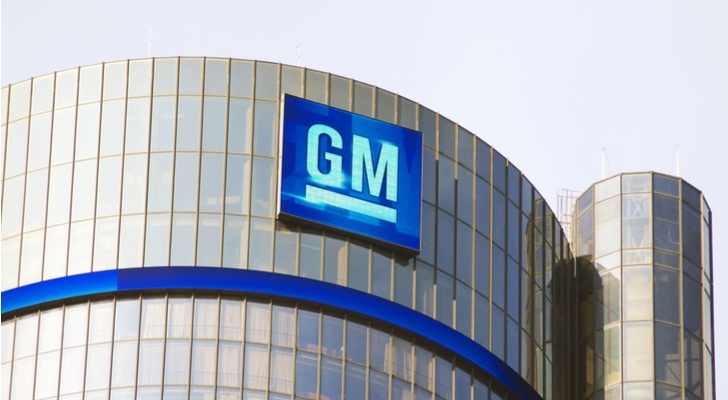 Servicing the vehicle will still be required, but it will allow GM to go from one-time car sales to turning some of its vehicles into a business that can continuously generate revenue. Some have even predicted that over the vehicle’s lifetime, GM’s autonomous service could see that vehicle generate hundreds of thousands in sales. That would be a boon for GM’s margins, but the concern would be competition flooding the market in a few years and driving those margins down. Still, the potential for GM’s service makes it highly attractive, particularly paired with its low valuation and high yield. 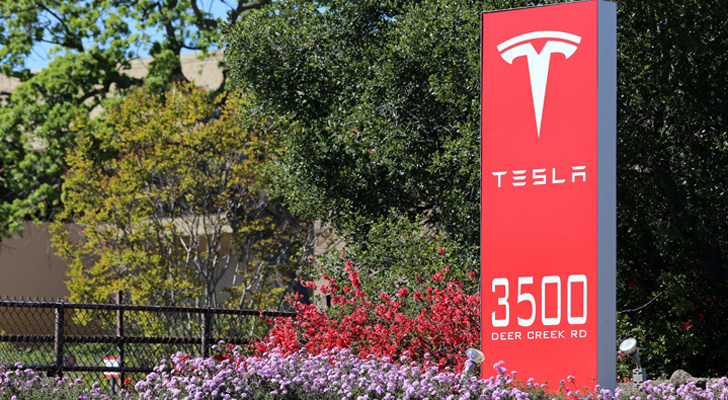 Many investors won’t consider Tesla (NASDAQ:TSLA) because of its precarious financial situation. Admittedly, Tesla isn’t a stalwart in financial strength, given its hefty cash burn and relatively poor balance sheet ratios. In Q2, Tesla grew sales by almost 40%, although it burned through more than $700 million in cash. On the plus side, CEO Elon Musk stuck to his guidance guns, maintaining his stance that Tesla will be GAAP profitable and cash flow positive (inclusive of capex) in Q3 and Q4. He was right. Tesla is not yet producing the short-range Model 3. Instead, it’s only producing higher-end Model 3 versions that begin at $49,000. That’s before tax incentives, but also before tacking on any additional autopilot features. All in all, with Tesla producing more than 50,000 Model 3’s this quarter and likely more in Q4, it should be GAAP profitable. With the bankruptcy arguments going out the window (for now), that near-30% short float may see trouble ahead. After Tesla’s huge post-earnings rally and clear sailing through year-end, it’s possible Tesla stock could experience a short squeeze. If it does, shares could run through $360 resistance, possibly bursting through its all-time high and over $400. 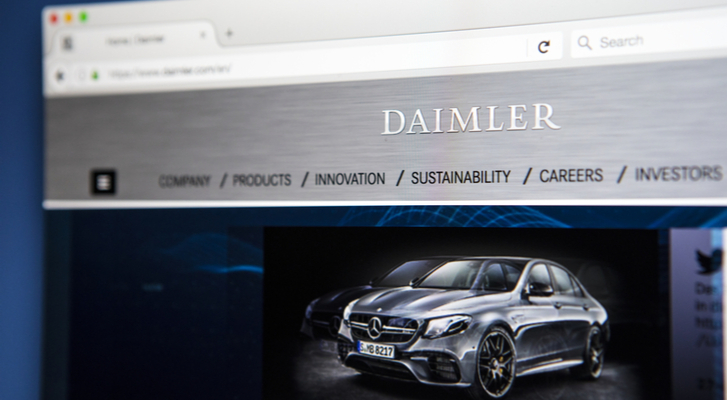 Daimler (OTCMKTS:DDAIF) has been left out to dry. Shares have fallen from $90 in January to sub-$70 in August to its current perch of $58. So what now? It’s hard not to want to own the “best or nothing” when it comes to buying car stocks. Shares trade at just shy of 6x earnings, which admittedly are forecast to decline from the year before. However, analysts forecast earnings to grow about 7.7% in 2019. Even more attractive is Daimler’s 7.6% dividend yield. However, it should be noted that this dividend is paid just once per year and if you weren’t around in April to collect it, you’ll have to wait another eight months or so. Aside from the high-quality vehicles, low valuation, modest growth and high yield, there’s not much else to like about Daimler. Its stock hasn’t been trading well and the trade war (halted as it may be) is front and center for the German producer. That said, potential long-term investors can find value in this name. (Hint: more on this company in a minute). Ferrari (NYSE:RACE) is another high-end European automaker falling from grace. Although notably, Ferrari is on a different playing field than Mercedes and its stock was doing great until its CEO Sergio Marchionne suddenly and tragically died earlier this year. So why buy Ferrari? RACE is one that investors really wish they would’ve bought a long time ago. When it went public in late 2015, shares opened near $55. Although Ferrari fell in the months following the IPO, shares have doubled since its first day of trading. 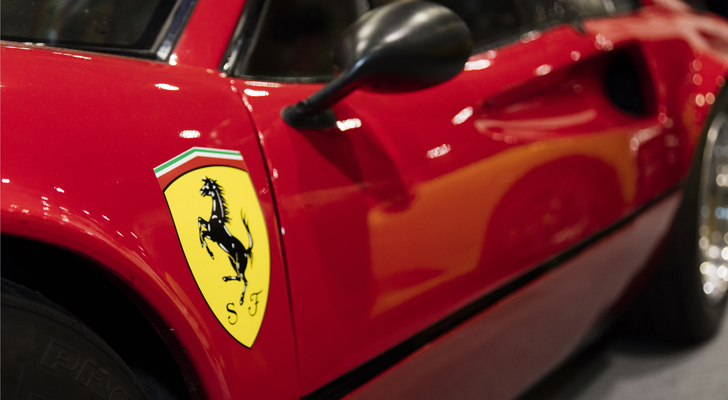 Ferrari stock will likely be decimated during the next recession, but we’re not in one now. On the last conference call, management told us the company is sold out for the year on almost all of its models. The “entry level” Portofino will replace the California T and should draw in new buyers. Margins are strong because demand is high, while both earnings and sales are forecast to grow this year and next. Should the economy stay strong, so too should Ferrari. Remember when we said there would be more on Daimler in a minute? Well, that has to do with Nvidia (NASDAQ:NVDA). While the company is predominantly a chip company benefiting from its gaming and datacenter businesses, don’t rule out its potential thanks to the auto market. For starters, the company is behind the Mercedes A.I. infotainment system, MBUX. The system is making its way across several vehicles in Mercedes’ lineup and I wouldn’t be surprised to see more automakers adopting a similar relationship with Nvidia. Further, the company’s DRIVE platforms — such as Pegasus and Constellation — have propelled Nvidia to the forefront of the autonomous driving revolution. Last month, Mercedes and Bosch selected Nvidia’s DRIVE Pegasus platform to power the autonomous taxi service that Mercedes plans to launch. The autonomous driving revolution is just getting started and is still in its early days. 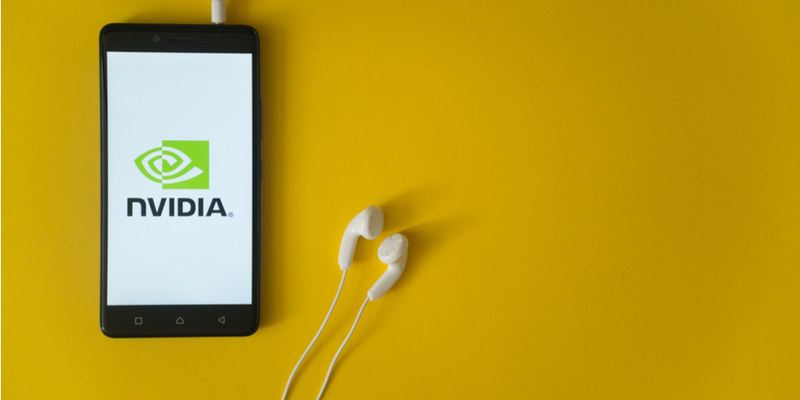 With Nvidia a likely leader in this tech-driven field, it no longer makes sense to ignore NVDA when thinking of automobile stocks. Why the heck are we talking about Alphabet (NASDAQ:GOOG, NASDAQ:GOOGL) when we’re discussing car stocks to buy? Like Nvidia, Alphabet’s Google emerged as a serious player in the upcoming auto market with Waymo. 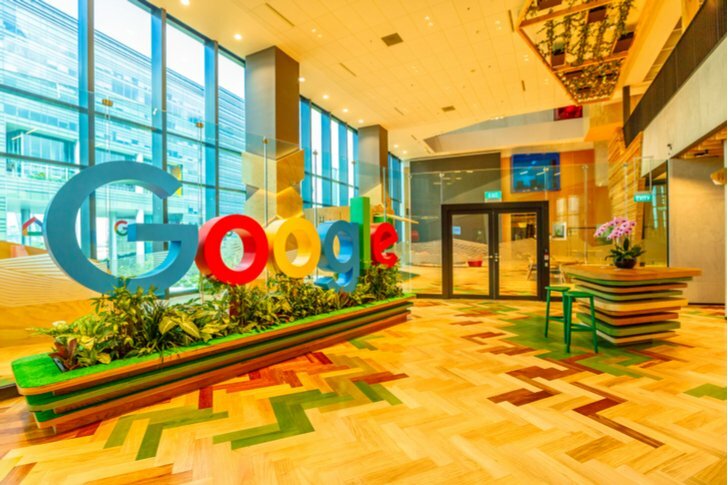 It doesn’t produce vehicles, but with its potential to license its autonomous driving software, there is plenty of potential down the road for Alphabet stock. Google’s former self-driving project, Waymo, has plenty of potential — it’s now providing almost 400 rides per day and it has been operating for a year in Phoenix. It’s looking at expanding overseas to Europe as well as throughout the U.S. It is, in my own opinion, the current leader in the autonomous transportation service, given that Cruise (GM), Mercedes and others have not rolled out as extensive of a test fleet thus far. In other words, it’s the early leader — and that could translate to big profits. RBC analysts have put together some long-term valuation potentials for Waymo. Keep in mind that this industry can change plenty between now and the next ten years. But they suggest Waymo could sport an enterprise value between $119 billion and $180 billion. Those are some big numbers, even for Alphabet. 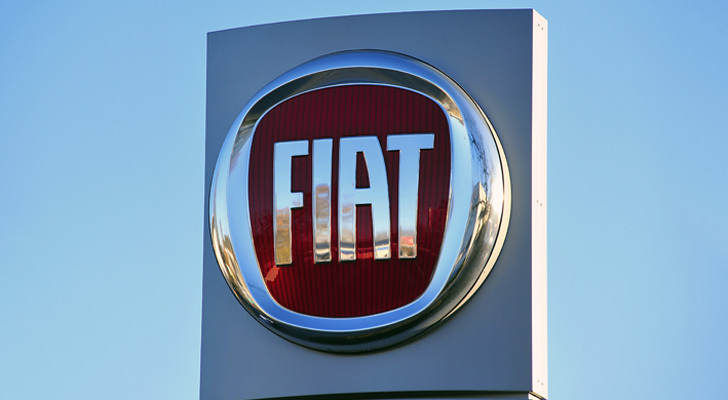 Like Ferrari, Fiat (NYSE:FCAU) is also a NYSE-listed European automaker. Also like Ferrari, its CEO was Sergio Marchionne. Shares had been under pressure before Marchionne’s sudden passing and they have been under pressure since. Unlike Ferrari, FCAU isn’t just one brand, it’s an umbrella of brands. It has European lines like Alfa Romeo, Fiat and Maserati, but also American staples like Dodge, Chrysler and Jeep. Marchionne was a great leader and it may take a few quarters to get things under control. However, it’s not like we’re overpaying for the stock. Shares currently trade at less than 5x this year’s earnings, an almost insulting valuation. Particularly for a company that has positive (albeit modest) growth this year and next year for both earnings and revenue. On the charts, there’s decent support near $16.59. That puts shares at an attractive risk-reward position for new buyers. Should support hold, there will likely be some tough resistance overhead. Bret Kenwell is the manager and author of Future Blue Chips and he is on Twitter @BretKenwell. As of this writing, he was long NVDA and GM. Article printed from InvestorPlace Media, https://investorplace.com/2018/12/7-automobile-stocks-to-buy/.